Office of Vital Records and Statistics registers all births, deaths, and fetal deaths in the County of San Diego. Medi-Cal is California’s Medicaid health care program. This program pays for a variety of medical services for children and adults with limited income and resources. What Are Adaptive Sports for People With Disabilities? How Much Does It Cost To Build A Handicap Ramp? Help individuals with disabilities save money to pay for qualified expenses, without being taxed on the earnings and without losing eligibility for certain means-tested benefit programs. The first national, veteran-founded-and-led 501(c)3 nonprofit focused on military suicide prevention. It provides support and resources to all past and present military and their families. 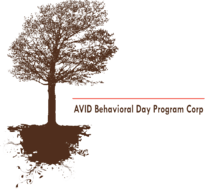 Person-centered supported living agency assisting adults with intellectual and developmental disabilities live in a home of their own with support. Providing Housing assistance, enrollment help with Medi-Cal, Covered Ca and Cal-Fresh. Providing accountable, equal access services that empower, support and restore justice to those who come through their doors. Helps people with developmental disabilities discover & nurture potential-giving a chance to live life to the fullest. Helping adults with blindness or vision impairment to be independent by offering counseling, training, community education, outreach programs and more. Empowering developmentally disabled adults with the vocational and social skills that enable them to be as independent as possible in the community. 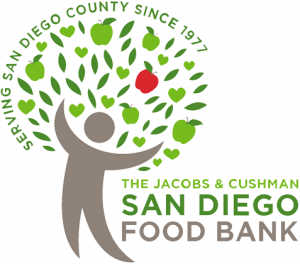 The San Diego Food Bank’s mission is to provide nutritious food to people in need, senior food baskets delivered, advocate for the hungry and educate the public about hunger-related issues. Jewish Family Services has a Corner Market with food, toiletries, diapers, and even dog food. You can make an appointment to shop and get credits to spend according to how many people are in your home. They also offer many family and community services, transportation assistance, patient advocacy, and refugee and immigration services.